As you went through the process of building out your strategic marketing plan you probably encountered many who were interested and some who weren’t in discussions you had. There will be no shortage of those who want to be involved and allowing everyone on the team will just create obstacles down the road, so select your leadership carefully that will help keep those engaged, informed and managed as needed. Ask yourself; do you have the leadership you need? Someone that can work across multiple departments, be diplomatic in resolving conflict and be able to keep everyone motivated to deliver. 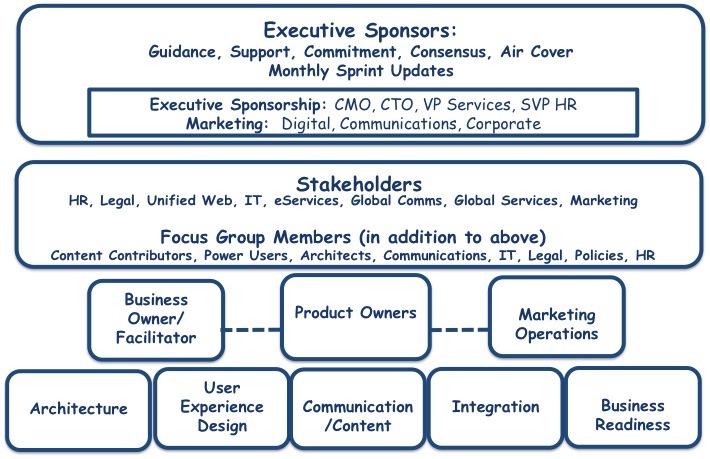 Some of the best teams I have led have included someone from IT that can help communicate to the developers the business need; a business leader that manages the customer expectations and a stakeholder/communication manager that can help provide updates on status to the stakeholders and feed in any new requirements requests. Then having a good project manager that will hold people accountable for deliverables as well as pull meetings together to keep the teams informed and working together. This is a good start to building the foundation of your team. Next post I’ll discuss managing those who aren’t on the team but believe you should be taking direction from them with transparent communication.